I’ve already written about the absurd method employed by Novak Djokovic’s nutritionist Dr Igor Cetojevic to initially diagnose his non-coeliac gluten intolerance, but having now read the tennis player’s new book, Serve to Win, other questions occur to me. In placing a slice of bread on Djokovic’s belly and finding a reduction of muscular strength in his arm, Cetojevic concluded this implied a sensitivity to the gluten in the bread. 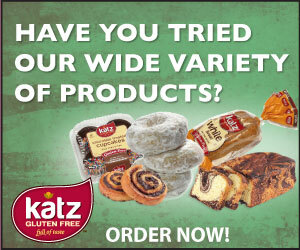 Indulging this fantasy for a second, why did it not suggest a sensitivity to the yeast, the salt, the non-gluten wheat proteins, the wheat starch, or the other many chemicals, additives and ingredients typically found in a slice of white bread? And why only test bread, or indeed bread first? What about other foods, or indeed environmental allergens? This seems to me quite typical of the anti-gluten movement, whose arguable torch bearer, Wheat Belly author Dr William Davis, has written the foreword to Serve to Win, and whose philosophy – that wheat and gluten are in a large part responsible for all manner of Western ills – is evident through much of the book. Applied kinesiological arm testing is an unverified, highly subjective test, where the power of suggestion and patient expectation may be involved in ‘weakening’ the response of the subject, as might the subconscious application of increased pressure or distraction methods employed by the practitioner. It is non-scientific, double-sighted rather than double-blind, and as I called it last time, nonsense on stilts. Such dismissiveness of mine would probably be seen as ‘closed’ by Djokovic, because ‘openness’ / ‘open mindedness’ are recurring themes in Serve to Win – a book in which he lauds the gluten-free (and dairy/sugar-free) lifestyle, based on a foundation of flawed logic (essentially, ‘I think it is so, therefore it is so’) and subjective self-assessment (‘it worked for me’). That open mindedness means he believes that directing negativity at a glass of water can turn it green. “That test is proof that every single thing in the world shares the same kind of energy … people, animals, the elements … especially food” – and I’ll let the passing physicists have fun with that one, should they care. At first, it’s difficult to determine who this book is for. Is it for the symptomatic or the asymptomatic? Wannabe fitness fanatics, sport freaks, or couch potatoes? One quickly comes to realise, though, that its scope is less discriminate: “I can recommend to anyone the benefits of a gluten-free diet,” he says. Symptoms, or lack of them, do not appear to come into it. There’s an extraordinary stretch in the introduction where he says “I figured out which foods hurt me and which helped. I’ll show you how”. In the following paragraph: “You start by eliminating gluten for two weeks, and after that the excess sugar and dairy … and see how you feel (here’s a hint: you’ll feel great)”. Later, he insists ‘Your body will tell you different things than mine tells me. We’re all different – we all have distinct fingerprints”. In essence, he promises to help you identify your own problem foods (ignoring the possibility you may not have any), then tells you what those foods are, even though you are different to him; he urges you to try his plan for 14 days to see how you feel, but pre-empts the experiment’s results by telling you how good you will feel, even though, as he maintains, you are unique and not like him. This sort of self-contradiction runs through the book like the writing in a stick of rock from LaLa Land on Sea. “I’m not prescribing anything,” says the player who is transparently prescribing a gluten and dairy free diet. “Only you can know what foods are right for you,” says the man who proceeds to then tell you what they are and aren’t. “It’s important to question ‘proven’ and new information,” writes the guy who fails miserably to query the notion that you can think water green. “Skepticism is often warranted,” he adds, having ignored this philosophy while pressing a slice of Hovis into his tummy. This, followed by “try to be .. not skeptical”. I was surprised by a sidebar on food allergy testing, covering SPTs, IgE blood tests, and the ‘gold standard’ of oral food challenge, which “keeps both doctor and patient from having bias”. Indeed. It’s perhaps the most scientifically accurate section that appears and is incongruous with the rest of the book and Djokovic’s means of diagnosis, which employed applied kinesiology, followed by what I take to have been IgG testing for supposed food intolerances. The final step in his diagnosis was reintroduction after two weeks off – he chose a bagel, it gave him what he describes as a hangover – and again this step was flawed in so much as both he and Cetojevic assumed it was the gluten causing the reaction, when it could have been psychological, or indeed some other food component, such as FODMAPs. It gets worse. “… grains are genetically modified in ways that seem to upset our bodies even more”. This is wrong, and perhaps on two counts. First, GM wheat is not yet commercially available so we are not eating it: wheat varieties are bred and hybridised; and second, this research from earlier this year found no evidence of an increase in gluten in grains being responsible for more gluten sensitivities. He disses food companies for promoting the idea that wheat is good for us, and while I agree to some extent that we probably consume too much grain in the West, and that the quality of some white flour-based products leaves a lot to be desired nutritionally, wholegrain gluten-containing products are very nutritious. That plain fact carries no weight here: wholewheat bread’s GI value is compared unfavourably with that of a Snickers bar, potato chips, cola and ice cream. Yes, it’s that ‘bad’, we’re told, and presumably that’s why Djokovic thinks everyone would benefit from the GFD, “even if you’re not sensitive to gluten”. The major symptoms Djokovic appears to have experienced pre-diagnosis occurred on court, hours into gruelling matches, where he felt his body break down – sapped strength, pain in his head, rock-like legs, difficulty breathing, vomiting. But ordinary people do not take to court and push their bodies in this way, and this lack of awareness of the ordinary punter reading is problematic. Nowhere is the manifestation of your symptoms or your health discussed meaningfully. Nowhere is the advice given to rule out coeliac, or IBS, before tampering with your diet. Nowhere is it acknowledged that you might feel worse after two weeks’ gluten exclusion, or just fine when it is in or reintroduced into your diet, or what to do should this occur. “Give it two weeks,” he tells us. “On day 15, have some bread and see what happens”. What might well happen, if you’re impressionable, and you’ve read this occasionally alarmist book, is that you might be nervous and apprehensive and that could translate to a ‘gut reaction’ you may not be best equipped to interpret. If you happen to be an undiagnosed coeliac (there are half a million of you in the UK), whose body was happily getting used to no gluten, you may well react horribly. Or you might feel wonderful. The absence of advice on what to do in all these scenarios feels irresponsible. “All you have to do is try,” says Djokovic. “To me, the worst kind of defeat is … the decision not to try”. Yes, reader, the world’s number 1 tennis player is calling you defeatist if you fail to overhaul your diet, for perhaps no good reason. Or is it a failure to undergo allergy testing – orthodox or not – whether you are symptomatic or symptom-free, and then not act on the results? Tiresomely, it’s really not entirely clear to me what is being said. Verified allergy / coeliac tests are available from orthodox doctors but, as Djokovic reminds us, they don’t know what’s best for your body, because, of course, only you do. And orthodox – for which read Western – doctors naturally often treat “the symptoms but not the cause” (yawn …), “forms of medicine from other cultures (Chinese, Ayurvedic) focus on treating the root cause”, and Western doctors “don’t take time to familiarise themselves with alternative therapies” or “even aspects of medicine outside their own specialities”. But don’t get him wrong, he’s not knocking Western medicine: if he damages a knee which requires surgery, “you can bet I’ll be seeking out the best Western doctor I can find”. This sort of view of ‘western’ vs ‘eastern’ medicine – and a romanticised, patronising view of the latter – is widespread, and is universally insulting. Setting aside the swipe at obviously lazy or underworked doctors who can’t be arsed to learn homeopathy, reiki or its sibling delusions, I think perhaps the greatest insult is directed at practitioners of orthodox medicine in the East. Presumably, goes the assumption, if you break your knee in Beijing they perform a tai chi manoeuvre on it, and the medics are always willing to offer a neem-scented massage if you crack your skull in Mumbai? And it is here where Djokovic reveals himself to be naive and indeed the ‘closed’ one – closed to the notion that ‘western’ medicine is not about geography, but about what has been proven to work, or at least to be the best we have. Closed to the idea that the fact he no longer smashes his raquets on the court may not be due to gluten exclusion, but to the possiblity that perhaps he’s, you know, grown up. Closed to the suggestion that perhaps big pharma isn’t in on a massive conspiracy to make us eat wheat. Closed to the idea that what doctors are begging for in some of the poorer Eastern nations are vaccines and antibiotics, not snake oil. So when he writes “open minded people radiate positive energy and closed minded people radiate negative energy” it’s hard not to feel embarrassed for him. If it makes sense to say so: this book lacks any self-awareness. Mostly this reveals itself in the way it breezes through the contradictions I’ve already described, but elsewhere he says “most people, even when they are genuinely trying to help you, are doing so in a way that also helps themselves”. Are you trying to help me, Novak, or are you just trying to help yourself and your book royalties? And did you, perchance, apply the same sense of paranoia and skepticism to those who advised you on this project? What I think has been the greatest disappointment for me is in the media reaction to this book. The pieces in the Wall Street Journal and the Independent are largely unquestioning and disappointing, and it seems clear now that their journalists did not actually have access to the player, perhaps because he was busy with the US Open preparation. In the absence of any deserved criticism of this book, it has fallen – amusingly – to his tennis peers to have a go. We already know Murray abandoned the GFD because, he said, it weakened him and he lost weight, but only recently Rafael Nadal said that: “Now, it seems the gluten-free diet is great. After three or four years, we will find another thing that will be great. All these kinds of things that are news, I am not doing”. Federer – bless him – kept it briefer: “No, I have extra gluten”. Of course, throughout this (very long – apologies) review, I have assumed that Djokovic wrote the book that bears his name, but there are few obvious signs to suggest this to be so. His ‘voice’ is absent. He surely could not have written a lot of the technical stuff. I doubt a non-writer could structure the book in a manner satisfactory to a publisher. I read online that Dr Davis wrote the text with him, but I’ve not been able to verify this. There is a passing acknowledgement he had some help with the medical aspects, but having written a book of roughly this length I know that it takes months of your life, so his involvement in this work I would guess was minimal. And that in a way is a relief. I like tennis, and I like Djokovic as a sportsman and personality, and I want to carry on liking him. While overall I hate the book, I should in fairness point out that it is not all bad – there is perfectly OK advice about slow and mindful eating and yoga for instance, and some mildly interesting memoir – but the rubbish for me renders it all irrelevant. I’ve omitted lots: there’s the tired and specious advice of “everything in moderation” (GF food in moderation? Vegetables in moderation? Water in moderation? ); dodgy dietetics (‘wholewheat bread is just as bad as white bread”); and the occasional pure drivel (“your body needs to become one with the food: that is exactly what digestion is”). Considered as a whole – all the pseudoscience, the contradictions, the selective subjectivity, the irresponsible advice and the rest – it’s ultimately far more comforting to imagine that this brilliant player had as little to do with this sorry project as possible. To buy Serve to Win via Amazon, click here (paperback) or click here (Kindle). I agree with you. He clearly didn't write the book. This was written by somebody with an agenda, most likely William Davis, who stands to benefit from it. Thanks for commenting – funny how my Djokovic and Murray posts always seem to attract attention whenever there's a Slam on! Cutting out a food for 2 weeks hardly seems unreasonable. I wonder why the author of this hit piece is so against it. Why would you recommend running to doctors at the drop of a hat? All they will do it look at you for 3 minutes and charge $300. If you even bothered to read the Don Davis book, wheat sensitivity and even celiac often doesn't show up in tests. The Djokovic book may be flawed, but even an ignorant athlete comes off better than this writer. I didn't say I was against (nor for) cutting out a food for two weeks. I mentioned it in the context of demonstrating the contradictions in the book. In the UK – I'm British – there is no charge to visit a doctor. 'At the drop of a hat'? No – but if you have vomiting, for instance, as mentioned in the text, then yes. I don't know who Don Davis is, but I presume you mean William. Irrespective of what may or may not show up in tests, gluten intolerance cannot be self-diagnosed. In part, this is because we do not eat gluten. We eat food with gluten in it. And that food has other stuff in it that can, potentially, be causing the problem.